Review by AllTheBestFights.com: 2015-10-03, spectacular finish between Adriano Martins and Islam Makhachev: it gets three stars (UFC Performance of the night). The black belt in Brazilian jiu-jitsu Adriano Martins entered this fight with a mma record of 27-7-0 (56% finishing rate) and he is ranked as the No.28 lightweight in the world while his opponent, multiple combat sambo world champion Islam Makhachev, has a perfect record of 12-0-0 (67% finishing rate) and he entered as the No.86 in the same weight class. 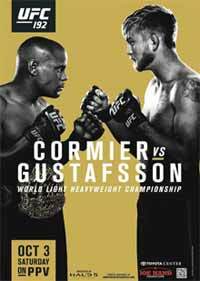 Martins vs Makhachev is on the undercard of Daniel Cormier vs Alexander Gustafsson – UFC 192. Watch the video and rate this fight!